We always strive to deliver the highest quality products quickly to your doorstep. We are always open to your comments and feedback. From the family of SunVita, we wish you the best of health! SunVita Health first began with the formulation of Peenuts in 1996 by a urologist in Durango, CO. The serene views of the mountains and rivers were always so captivating. We always enjoyed being outdoors with nature whether is was skiing, hiking, fly fishing or just soaking up the Sun. We always felt so energized after being outside. So, we decided to come up with an all natural approach to offer our customers to assist them with their prostate health. 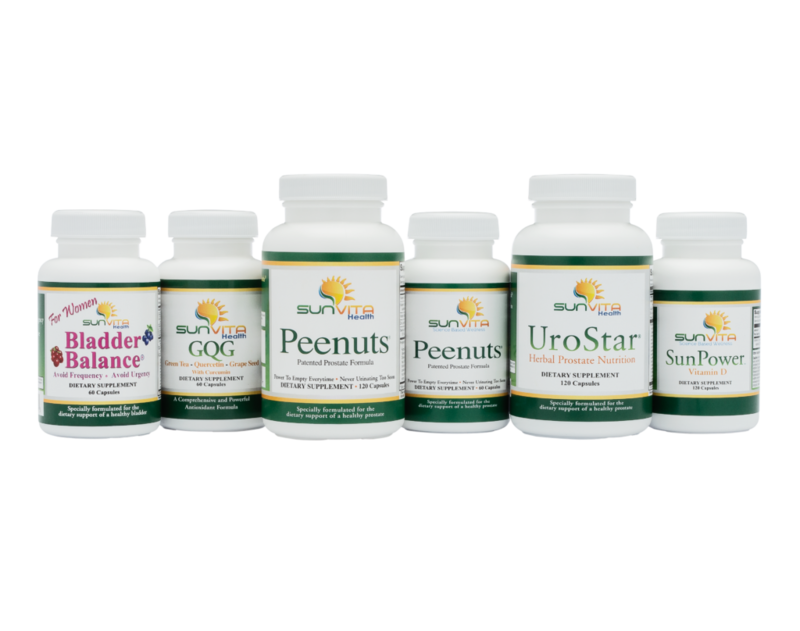 Soon after Peenuts became successful, Bladder Balance was created to help women with their urinary issues such as frequency, urgency and UTI’s. In 2002, we decided to move the business to Sarasota, FL where we have continued to develop new products to promote men’s & women’s bladder and prostate health. Please feel free to contact us with any questions about your prostate health!